Sometimes I observe people in our work environments who don’t seem to have any sense of urgency. You should be alarmed when complacency and carelessness are on the rise. It’s important to find out why. It could very well be that when everything is urgent, nothing really is. Take a short breather and think about that for a moment. Can it be that people shut down when they’re pushed too much? 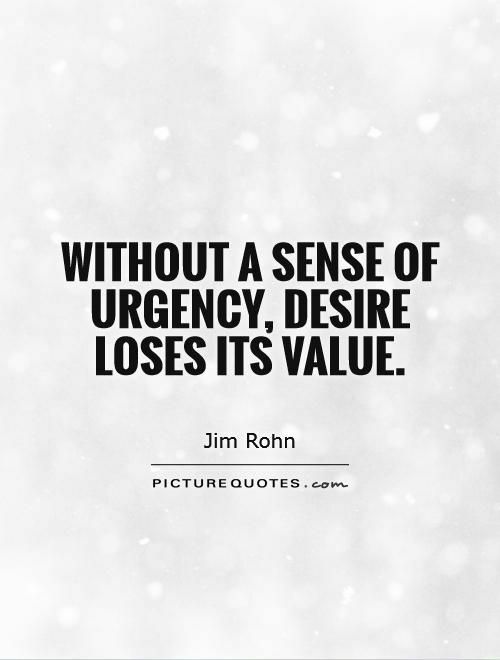 For example, when you lead a team of people through a transformational stage (change management), you will have to create an atmosphere of urgency. If you would like to inspire a greater sense of urgency in your team members, start establishing an outcome oriented culture. I have never been a real fan of job descriptions because they make people task oriented instead of outcome oriented. If you are able to clarify the reasons and consequences of inaction, your team members will start to take action. Everything can’t be urgent. Break down a challenge into smaller chunks and celebrate the achievement of small steps. “How do you eat an elephant?”. When the team matures then the chunks can get larger. A good leader senses how big the steps can be. Hello Wolfgang! I appreciate the comment of an experienced leader. How are you? Let’s have lunch soon.